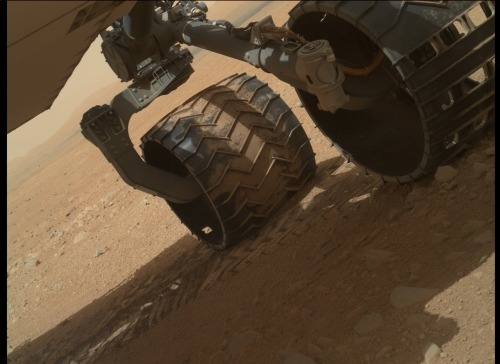 The wheels of the Curiosity rover covered in Martian dust. Image taken by Curiosity’s MAHLI instrument. This entry was posted in Front Page and tagged Curiosity, mahli, mars, NASA, Posthorn, Repost, science, space, Tumblr on 10/09/2012 by John.